The ISN World Congress of Nephrology (WCN) is the premiere educational meeting targeted at the international nephrology community and healthcare professionals involved in multidisciplinary nephrology care. 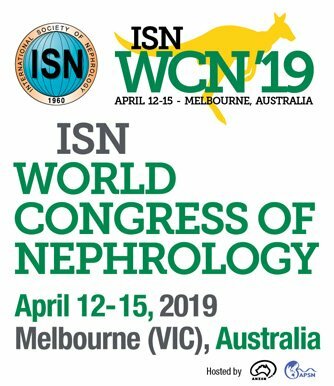 The International Society of Nephrology (ISN), the Asian Pacific Society of Nephrology and the Australian New Zealand Society of Nephrology have joined forces to organize the 25th edition, taking place in Melbourne, Australia from April 12 to 15, 2019. Discussions will focus on glomerulonephritis, integrated end-stage kidney disease, and other renal problems relevant to patients worldwide and those living in Asia Pacific. Before the congress, hands-on courses on interventional nephrology, and lectures on renal pathology and epitrials, give access to international medical expertise in renal treatment, research and care, from bench to bedside. Courses are led by the most highly-respected peers within the field from multiple countries, they accompany a comprehensive scientific program, and offer an enriching and professional exchange of knowledge with world-renowned nephrologists.